programme and its growing community of Fellows, former Fellows and contributors to the programme. 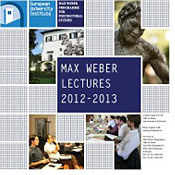 The Max Weber Programme is Europe's largest post-doctoral programme in the social sciences and humanities. It is funded by the European Commission (DG Education and Culture) and hosted by the European University Institute in Florence where the research community of professors, researchers and Fellows provides an excellent environment for the Programme. The Programme, open to all nationalities, is designed for junior post-docs who have received a doctorate in Economics, Law, History, Social and Political Sciences, or a related field, within the last 5 years and who want to advance in their research and academic training, in an active multidisciplinary environment, before entering the international job market, or who are in the early stages of their academic careers. The Max Weber Programme is 'on the move.' We are packing up and moving to the Badia Fiesolana, the historic building of the EUI and, not without nostalgia, leaving behind the historic building of the MWP. But looking ahead, the MWP will be well located within the Badia and Fellows will appreciate being close to the Library and other EUI facilities (Bar Fiasco? ), while EUI researchers and faculty may also benefit from having the MWP, with its activities, on the EUI centre stage. The rest of the MWP team remains, with Karin Tilmans as Acting Director, from January 2014 until the new MWP Director, Richard Bellamy, arrives in full capacity in May 2014 (part time, January – April, 2014), Sarah Simonsen as the main Administrator of the MWP, and Ognjen Aleksic with the Programme full time from the beginning of the academic year. From November 2012-May 2013, the Academic Careers Observatory (ACO) of the Max Weber Programme (MWP) carried out research on the career progression of former Max Weber Fellows (MWF) and non-Fellows, i.e. those who applied to the programme and either proved unsuccessful in their application or who declined the Fellowship. The central aim of this research was to assess whether or not the MWP has an impact on the academic labour market. Information was collected on 481 post-doctoral academics, divided between former Fellows of the MWP and non-Fellows. This data pertained to the career progression and current job positions of the participants. The information on both groups was gathered from the application materials that were supplied to the MWP, and the internet search-engine Google, which was used to trace non-Fellows in particular. The results were stratified with the utilisation of various indicators including gender, occupational mobility and geographical mobility. On 2 September 2013 the 8th cohort of Max Weber Fellows arrives at the new premises of the MWP in the EUI main building, the Badia Fiesolana. A total of 32 new Fellows and 1 visiting Fellow join the MWP, while 10 current Fellows continue into their second year. Of the 44 Fellows, 19 are women, 25 are men. When looking at the distribution by nationality, while Germany, Greece and the USA are represented by 6, 5 and 7 Fellows respectively, there is a spread, with a total of 21 different nationalities. Ethiopia is represented for the first time. We look forward to welcoming them all. Becoming a member of a "Young Academy". The Young Academy of Belgium (Flanders) was officially inaugurated on 29 March 2013, and I felt very honoured to form part of its first cohort. It brings together 40 academics, between three and ten years since achieving a PhD: some postdocs, others tenure-tracks, and some professors. It was the twentieth Young Academy to be founded! Considering the rapid spread of Young Academies worldwide, this might be an ideal moment to reflect upon what a 'young academy' could offer as an added value in the career of a young researcher. For most of us, it has above all been an opportunity to escape our day-to-day work, for me this means the history department in Leuven, and to meet new colleagues at similar career stages, but with very (if not completely) different research interests and affiliations. Very much like the Max Weber Programme, a Young Academy offers interdisciplinary meetings (and coffee breaks! ), broadening the scope of your own discipline and university. It is exactly this mix in institutional and disciplinary backgrounds that provides the necessary background for our mission in the academic field of Flanders: enhancing the possibilities of young PhDs at the very start of their academic careers. Cognitive neuroscience – a field of scientific knowledge that has developed rapidly in the past decade – is the study of the neurobiological bases of higher mental abilities, including language, reasoning, intention, memory and perception. Recent progress in cognitive neuroscience can have a direct impact on improving the work of courts in making judgments of lack of criminal responsibility in cases of insanity. This question is attracting an increasing amount of interdisciplinary, international scholarly, and media attention, among legal experts, behavioural scientists, neuroscientists and philosophers. The Academic Careers Observatory (ACO) was represented at the Researcher Careers and Mobility Conference in Dublin in May by the Academic Assistant for ACO, Alanna O'Malley. O'Malley was one of 15 winners of a travel bursary competition to attend the conference. The application for the bursary competition comprised of a 3 minute video which discussed how the research agenda of ACO was relevant to the aims of the conference. Organised as part of the Irish Presidency of the European Union, the conference aimed to examine how the development of the European Research Area (ERA) is progressing, and what challenges remain for researchers in Europe. Researchers at various stages of their careers were invited to give their personal experiences of their careers to date, planning, mobility, Marie Curie Fellowships, and more. The Max Weber Programme team is in the process of preparing a 7-year report, which will summarize the most relevant features of the Programme in its first seven years. From September 2006, when the Programme opened its doors at Villa La Fonte to the first cohort of 40 Max Weber Fellows, to the summer of 2013 when the MWP faces a number of major changes. From the start Villa La Fonte was the home and a meeting point of the MWP, it has provided a beautiful place in which to reflect, discuss and work, and has given character to the MWP. In the end, however, what characterizes the MWP in these first years are: the Max Weber Fellows, the MWP activities and the people who have made them possible. The conference will examine the various dimensions of the academic contract and how it is evolving, from the point of view of both the individual and the university. It will analyse the current status of both academics and institutions, and incentives for change, together with the way in which these affect academic careers. 2013-2014 are set, and the series includes an impressive list of scholars, including the new EUI President, Joseph Weiler, and two Nobel prize winners. 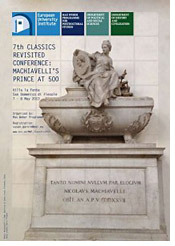 This year’s annual Classics Revisited conference was on Machiavelli, in celebration of the fifth centenary of the publication of his classic, Il Principe. The conference ran for two days, 7-8 May 2013, and was held at Villa La Fonte. The aim of the conference was to approach Machiavelli from an interdisciplinary as well as international perspective. To that end, speakers were invited from New Zealand, Buenos Aires, the US, Canada, and throughout Europe, and they touched on a range of topics including the family, early-modern political economy, the euro crisis, the city-state, and Machiavelli’s reception in Japan. The 2013 June conference of the Max Weber Programme brought past and present Fellows together under the roof of Villa La Fonte for the fourth time, and was the biggest conference so far in terms of the number of Fellows returning and the number of presentations. A total of 40 former Fellows, representing all seven cohorts and the four disciplines came back to Villa La Fonte for the last time. Firat Cengiz, LAW Fellow 2008-2009, was awarded a Marie Curie Career Integration Grant for her project titled, 'Anchoring the Consumer: Legitimacy and Accountability in Competition Law'. This four year interdisciplinary, empirical project will look into the participation of citizens in the making of competition policies in the EU and the US. Sheila Neder Cerezetti, LAW Fellow 2011-2012, has recently been appointed Professor at the Commercial Law Department of the University of São Paulo Law School. 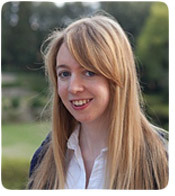 Catherine Fletcher, HEC Fellow 2010-2011, has moved on to a position as Lecturer in Public History at the University of Sheffield, UK. Ana Hosne, HEC Fellow 2010-2011, has moved on to a Marie Curie Fellowship at the University of Heidelberg. Heather Jones, HEC Fellow 2007-2008, has been promoted to Senior Lecturer in International History at the London School of Economics and Political Science. Lei Ji, ECO Fellow 2011-2012, has been appointed assistant professor for a joint position in OFCE Sciences-PO and Skema Business School. Alicia Perez-Alonzo, ECO Fellow 2006-2007, will be from November 2013 IBERDROLA Foundation Research Fellow, Universidade de Vigo & Economics for Energy, Spain. Miriam Ronzoni, SPS Fellow 2008-2009, has been appointed Senior Lecturer in Political Theory at the University of Manchester, UK. Christian Schemmel, SPS Fellow 2009-2010, Lecturer in Political Theory at the University of Manchester, UK. Kristin Surak, SPS Fellow 2010-2011, was awarded a Marie Curie Career Integration Grant for her project titled, 'Anchoring the Consumer: Legitimacy and Accountability in Competition Law'. This four year interdisciplinary, empirical project will look into the participation of citizens in the making of competition policies in the EU and the US. Temel Taskin, ECO Fellow 2010-2011, has been appointed Economic Counselor, Permanent Delegation of Turkey to the OECD, in addition to working as an economist at the Central Bank of Turkey. Inés Valdez, SPS Fellow 2011-2012, has been appointed Assistant Professor at the Department of Political Science at The Ohio State University, USA. Andrea Wechsler, LAW Fellow 2011-2013, will move from September 2013 on to an Assistant Professor position at the Hanken School of Economics, Finland. We are happy to announce that this year's Max Weber calcetto team - The Ramones – for the first time in the history of the Programme reached the quarterfinals of the world famous Coppa Pavone. Let's hope that this was just the first step in assuring that the Coppa finds its way to the Programme in the upcoming years. 'EU politicization through the lens of salience: How the EU enters the French, British and German electoral agenda (1986–2009)', French Politics, Palgrave Macmillan 2013, doi:10.1057/fp.2013. Vredehandel. Adellijke en Habsburgse verzoeningspogingen tijdens de Nederlandse Opstand (1564-1581), (Amsterdam Studies in the Dutch Golden Age), Amsterdam, Amsterdam University Press, 2012 (both paper book and free open acces e-publication: www.oapen.org). 'Die Gastarbeiter'. Merkur (Sonderheft) 9/10, 2013. Nai Rui Chng's, SPS Fellow 2009-2010, paper 'Regulatory Mobilization and Service Delivery at the Edge of the Regulatory Stater', published in Regulation & Governance late 2012 won the journal prize for the best article published in 2012. The paper was part of a special issue titled "Understanding the Rise of the Regulatory State of the South". Ignacio has also received a collaborative research grant for the study of "Arab and Islamic Legal and International Legal Thought" awarded by the Institute of Global Law and Policy. Tina Freyburg, SPS Fellow 2011-2012, won the 2013 JEPP Price for the most downloaded article not from a special issue for her article 'National identity matters: the limited impact of EU political conditionality on the Western Balkans', Journal of European Public Policy (JEPP) (2013) Volume 17, issue 2, pages 263-281. In June 2013 Andrea Wechsler, LAW Fellow 2011-2013, was awarded the Faculty Prize of the Ludwig-Maximilians-University in Munich for her dissertation. 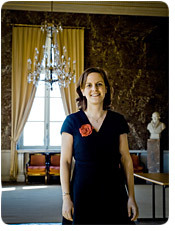 Eszter Bartha, HEC Fellow 2007-2008, completed her Habilitation in History at the Eötvös Loránd University of Sciences, Faculty of Humanities in May 2013. 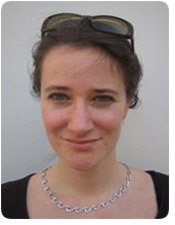 Margherita Fort, ECO Fellow 2006-2007,received funding from ISA (2013) for the project '"La meglio infanzia": cura dei bambini e sviluppo delle capacità cognitive e non cognitive', joint with A. Ichino and G. Zanella. We very much encourage you, the readers of the MWP newsletter, to send us your contributions. We especially welcome short pieces of broad interest of max 500 words. We would be happy to announce prizes and distinctions you have been awarded, career moves, your recent publications and other important news that you would like to share through the Max Weber Programme Newsletter. Write to Sarah Simonsen to have your news announced. 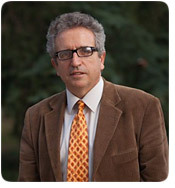 The European Commission supports the EUI through the European Union budget. This communication reflects the views only of the authors, and the Commission cannot be held responsible for any use which may be made of the information contained therein.